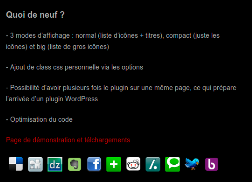 October 3rd in Free Plug-ins, Social Media by Wordpress Jedi . If you have visited top blogs recently, you have probably seen that they all heavily use social sharing buttons. The fact is, people are more likely to submit your posts to those social networking websites when you provide them with the appropriate buttons. I have tested this extensively, and it is clear that most people won’t take time to submit posts to Facebook or Twitter unless you have a share button available on your website. Thanks to easyShare you won’t have to worry about that. easyShare makes it easy to add sharing buttons of your favorite social networking sites to your blog posts. All you have to do is install it and check the boxes next to your favorite social sites in this plugin’s setting page. You also have the option to display buttons in large or normal format. 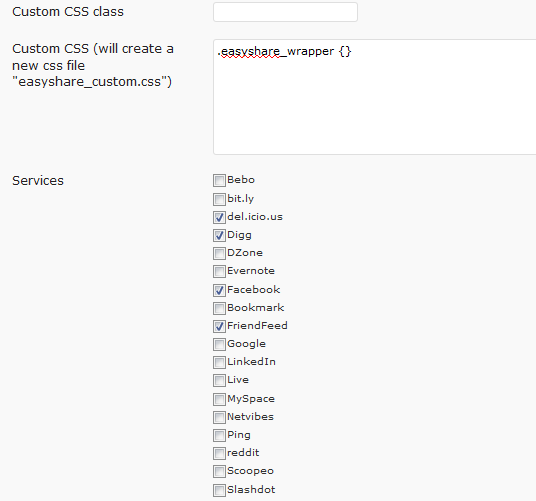 What’s nice about easyShare is the fact that its behavior can be easily customized, especially if you know your CSS. The icons can be modified as well as long as you have images that can replace the default icons that come in this theme. 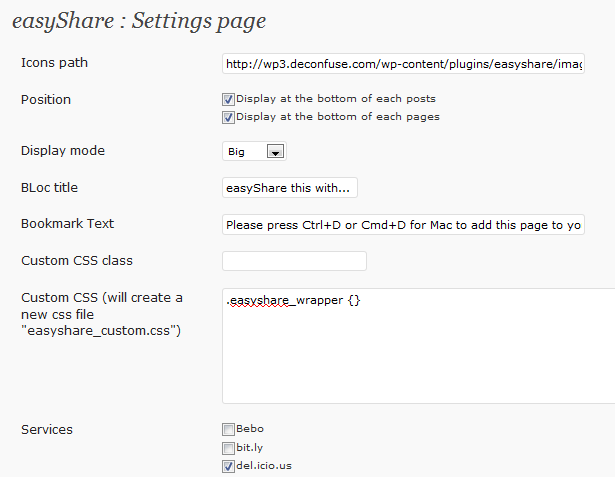 easyShare gives you an easy way to add social sharing buttons to WordPress. No coding is required, and you can make a lot of changes just by playing with its settings. Overall, this is a great social plugin if you want to encourage your visitors to submit your best posts to top social networking sites.